Patio doors create a brighter living space and seamless connection between interior and exterior. Whether you're looking for classic wooden patio doors, vinyl or even premium aluminum clad wood or vinyl, Neuffer can develop a custom built solution for you. Patio doors can transform a room, bringing in more natural light, creating great views and allowing you to enjoy your garden or yard from the inside too. We offer four different types based on function which can then be further customized by material, color, glazing, size and shape. Today's precision engineered patio doors can be made far larger than before creating huge panoramic views. Neuffer offers extraordinary design flexibility to ensure your project shines. The word patio door is an umbrella term that merely defines the installation location rather than mechanism similar to the terms "front door" or "balcony door" which can come in a wide variety of actual types. Thus, any door that connects the inside to garden or yard can technically be a patio door. Nowadays however, there are four main styles of patio door based on opening type. These each describe the opening system as they will all feature large glass surfaces and and the ability to customize the hardware, glazing and size. An important factor in your decision is the overall installation space for the door as well as the room available for the door to swing in or out, fold or slide. Lift and slide doors are by far the most frequently installed in new construction and renovation projects. This is due to opening mechanism providing superior functionality and energy-efficiency compared to older simple sliders which merely move sideways. 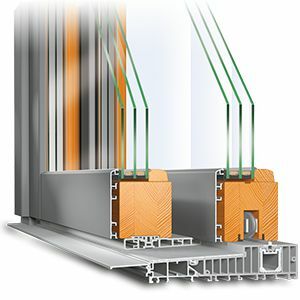 Because the sash (the sliding section) is lifted off the ground and then "dropped" back down, the weight of the sash provides an excellent air seal preventing the air infiltration and substantial energy loss that comes with basic sliding doors. It also means they are more secure, important for patios. The biggest selling point for bifolding doors is that by taking up such little room when open, they enable huge open spaces to your patio surpassing all other options. 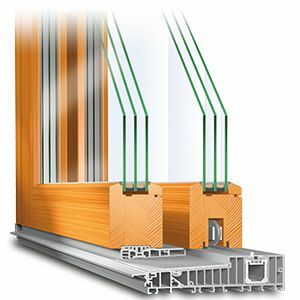 On the other hand, the multiple folding sashes also mean a smaller continuous glass surface compared to lift and slide doors for example. Thus, the choice mainly depends on whether you're more interested in a larger open area or a longer uninterrupted glass surface when closed. Due to their construction, they are also more limited in terms of security hardware upgrades may or may not be relevant based on your location and needs. This option combines standard sliding doors with the tilt function of European windows. The sash slides open to the side or can be tilted backwards for ventilation. It offers multipoint locking and all the convenient functionality of tilt and turn style windows. French doors are essentially two large casement windows meaning large sashes mounted on horizontal hinges which swing open like double doors. They offer simple, straightforward functionality and do not require a center mullion or post as in the past which offers an increased uninterrupted opening space. Once you've decided on the opening type best suited to your project, the next important choice is that of material. vinyl, wood and aluminum clad versions of each all come with a unique combination of insulating, security and durability properties, not to mention aesthetic. Given the typically large size of patio doors, budget concerns can be an issue for some projects. Fortunately, even the most affordable materials can be upgraded with additional hardware and insulating features if required which can bring them to the same level as wood. Aluminum cladding will boost the durability, security and looks of wood and vinyl frames. Wood boasts great insulation and strength right out of the door without additional reinforcement, foam or internal chambers. It provides a warm, authentic and natural look for any home while requiring a bit more upkeep than synthetic materials like vinyl. Aluminum cladding represents the best of both worlds. For those on a stricter budget, aluclad vinyl provides solid security, insulation and aesthetics at a great price. For the ultimate bespoke solution and unparalleled aesthetics, aluclad wood frames are second to none. They feature a sleek modern look outside and robust weather resistance. 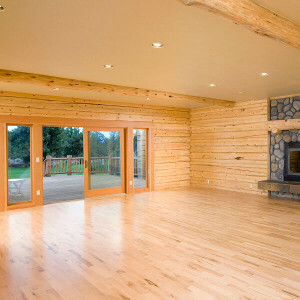 This adds up to minimal upkeep over the years and the same cozy look of wood indoors. As with windows, there are a wide range of further options that can be installed to reach the thermal insulation, sound reduction and security needs of your project. 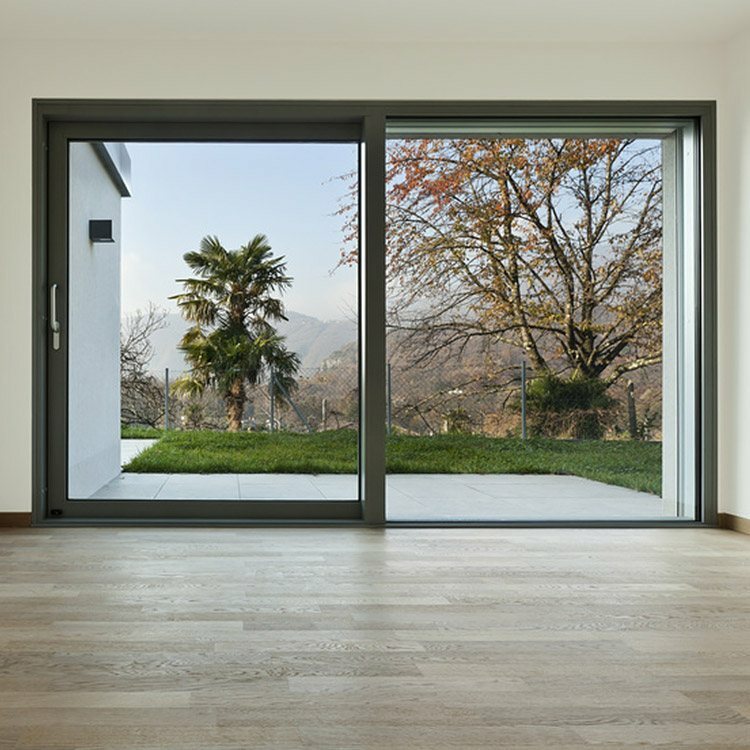 Glass makes up the largest surface area of modern patio doors meaning it plays a major role in determining the overall energy-efficiency and security of the door. 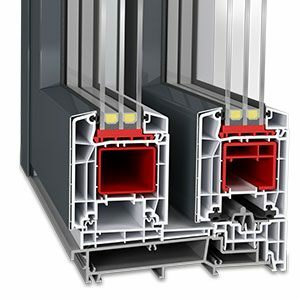 Neuffer offers a range of double and triple glazing combinations to suit a variety of requirements. The choice is never either-or, but what you'd like to combine. 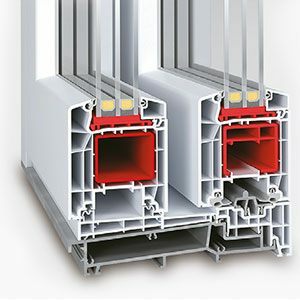 For example, you can choose our triple glazed option for maximum insulation values and still add laminated safety glass to the outer pane to increase protection. Warm edge spacers, additional locking points and hardware as well as gas filled spaces between panes can further boost both. Any Neuffer system - whether wood, aluminum or vinyl - can be supplied in any RAL color. Further foil based decors are available. Even the seals and hardware can be individually colored to create exciting accents and the exact look and color combination for your project. Receive a FREE QUOTE in 48 hours.